Viewers will be directed to the toll-free telephone number (800-970-0998) that they can call to voice support for their Second Amendment right to keep and bear arms. 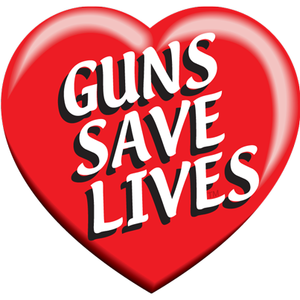 People can also visit the GunsSaveLivesDay.com website to sign a petition in support of gun rights and the fact that guns do save lives. He was especially critical of Organizing for Action, the group created from the Barack Obama campaign organization, and Moms Demand Action, for exploiting the Sandy Hook tragedy, while trying to silence firearms rights groups. “Nobody should have the right to prohibit another person from exercising his or her right of self-defense,” Gottlieb said. “This notion that ‘gun free zone’ decals or signs will prevent a violent crime is at best delusional. Criminals and crazy people pay no heed to such restrictions on law-abiding people, and in fact they take advantage of such situations.